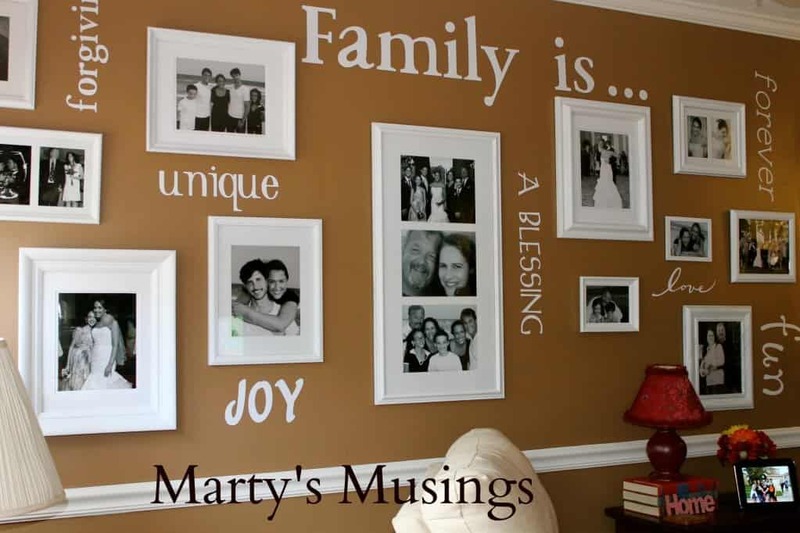 Today I’d love to welcome Marty from Marty's Musings. 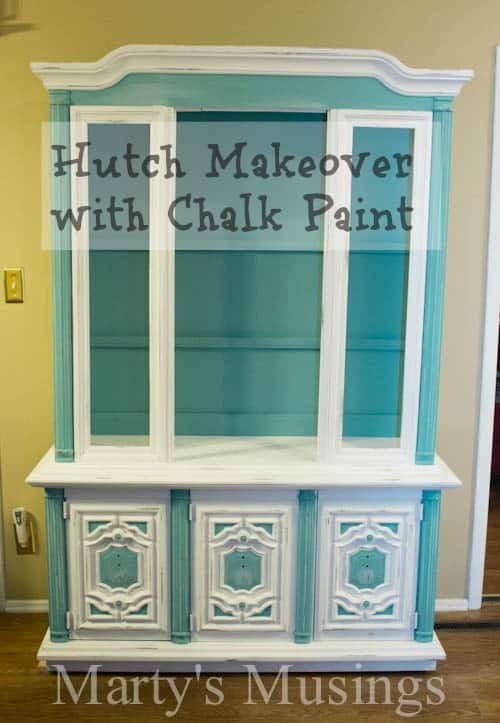 Chalk Painted Hutch - This hutch was totally transformed from dark ugly brown wood to this lovely Provence color from Annie Sloan chalk paints. 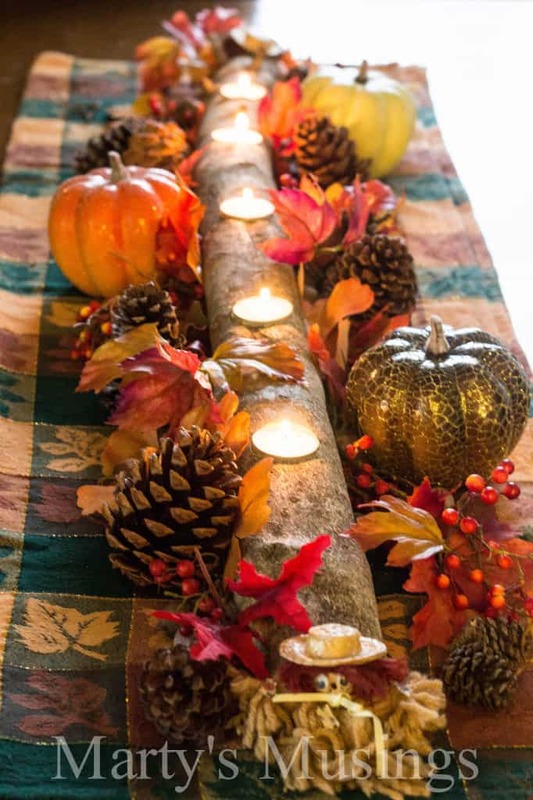 Branch Candle Centerpiece - I'm loving the natural, rustic look in my decor, especially for fall with this neat project. Window Table - This was one of the first projects Tim did for me and it's still one of my favorites! 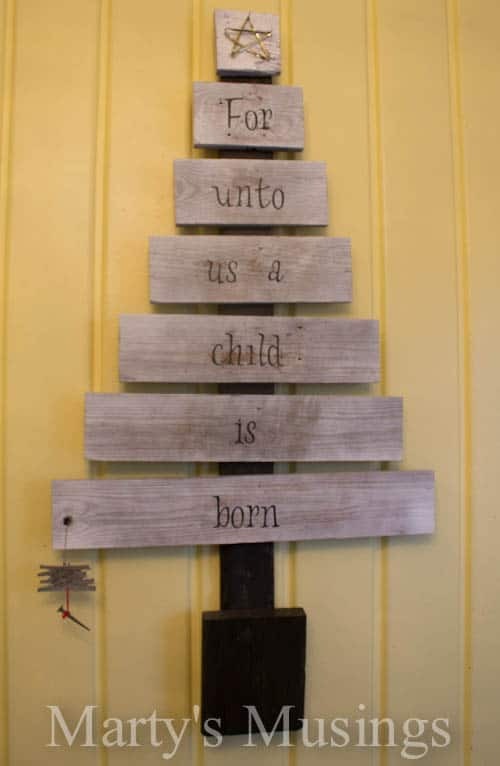 Scrap Wood Christmas Tree - a quick and easy yet totally appealing Christmas tree made of fence wood and vinyl letters. Gallery Wall - This wall is one of my very favorites because of the emphasis on our forever family. Marty Walden's little family journal began in 2008 and has turned into a passion for sharing life, faith, dreams and adventures as a DIY, crafty, bargain hunting,homeschooling, memory keeping mom. Marty has five biological and adopted children. 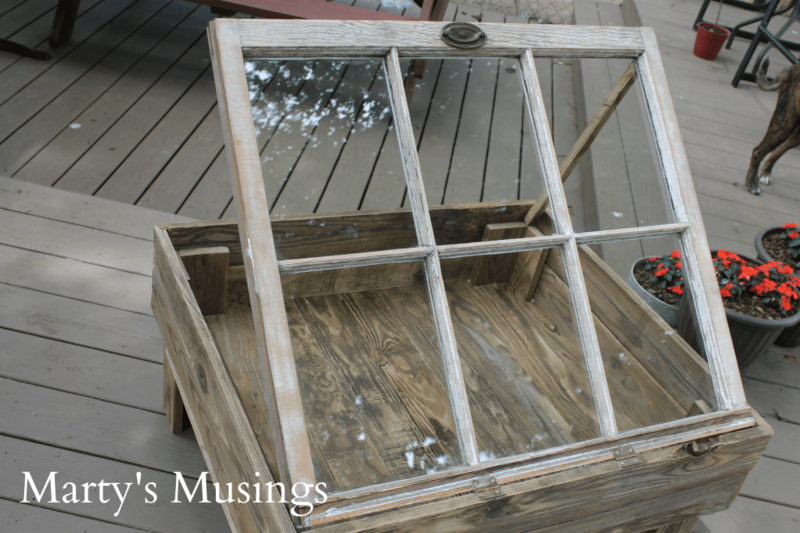 She shares her heart and story at Marty's Musings.